There's no escape from the term "node" after a certain point when working with Drupal. Here we explain what "node" means and why in many places it's been replaced with "content" in the interface. We did not set a URL alias for this content, so the URL by default is node/1. 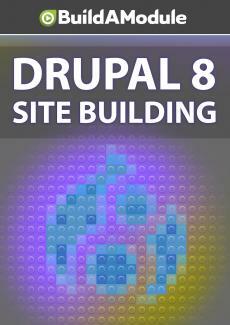 Understanding what a node is in the context of Drupal is very useful. Throughout the navigation you see the word content used a lot, so content here, add content, and then these are different content types. And in general, content is just another name for node. For example, this piece of content right here is a node. In the interface, the word content gets used more often than node because it's easier to understand for new users.